Most people have gone back to work or are soon to be back at work, but the first weeks back don’t have to be as feared and loathed as they currently are. 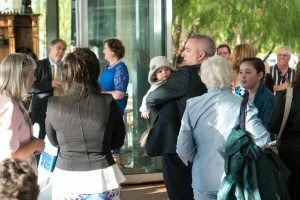 Bucking the trend and having a welcome back function is a great way to ease the post-holiday blues and help staff reacquaint themselves with one another. 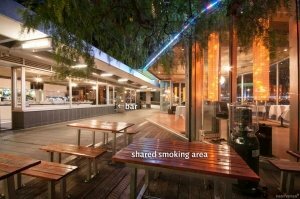 Harbour Kitchen can gently welcome you and your staff into 2016 with our corporate event hire options. Traditionally, workplaces concentrate their social events at the end of the year, as holidays draw near. Obviously it is great to show appreciation to staff and reward them for all their hard work throughout the year. But it is also great to thank your staff in anticipation of a successful year ahead and for the hard work they will undoubtedly do in the months ahead. It’s also a nice way to welcome any fresh faces at the workplace and allows others to catch up on all that happened over the break. Happy workers tend to equal productive workers and holding a little soiree in January or February might just lift the back-to-work gloom that seems to afflict so many after the festive season. With our stunning views, close proximity to the CBD and sumptuous food and beverage packages, Harbour Kitchen is sure to lift your spirits. We offer affordable event hire for corporate functions of all sizes. Maybe you want to motivate a small team with cocktails and h’orderves, or perhaps you want the whole office to start the year with a bit of fun. Either way, we have the space you require, the service you hope for and the event hire you need. All at the right price. Get in touch today to see how we can help inspire your workforce in 2016. A little corporate event hire can go a long way!